Spurr’s leadership in defence was missed after sitting out the final five games of 2017 with a calf injury. The 30-year-old will again play a crucial role in guiding a young defensive group in 2018. Lee started off a little bit slow after an operation post-season last year. He’s now in full training and looking good after the Christmas break. He’ll be fit and available for the start of round 1. 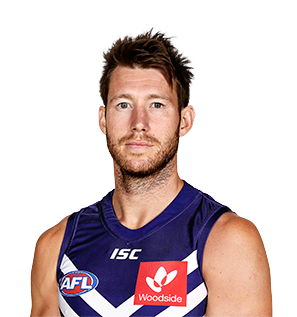 Spurr’s leadership and experience made him a key part of Freo’s backline, making 16 appearances and averaging 17.8 disposals. The defender injured his calf in round 18 against Hawthorn and missed the final four games of the season. Spurr took control of Freo’s defence, leading the club in marks (147) and rebound 50s (47). Spurr finished sixth in the Doig Medal count, his fourth straight top 10 result. Spurr enjoyed a solid 2015 providing run out of the backline. 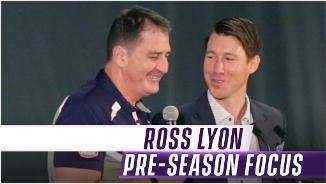 His leadership and skills have made him a key part of the Freo backline. Spurr was elevated into the leadership group in 2014 and he continued to display courage without compromise on a weekly basis. It was a steady season from the small defender. As tough and uncompromising as they come, Spurr has been brilliant in the heart of Fremantle's defence. His performance in the qualifying final was superb. The mature-age defender from Queensland played his footy in the SANFL before joining Freo. Lee Spurr was rewarded for his solid debut season with promotion onto the senior list at the end of the year. Another mature-age recruit success story at Freo, Spurr debuted on the Gold Coast in round 6 and played 13 games overall. While he didn’t break into the team straight away, he grasped a last minute opportunity in round 16 with an excellent 19-disposal, 11-mark performance off the half back line. That effort saw Spurr remain in the side for the rest of the season, which was capped off by him winning the Beacon Award on Doig Medal night. Greatest footy moment before the AFL?